AUTEUR ARIEL: All you need is sushi. All you need is sushi. 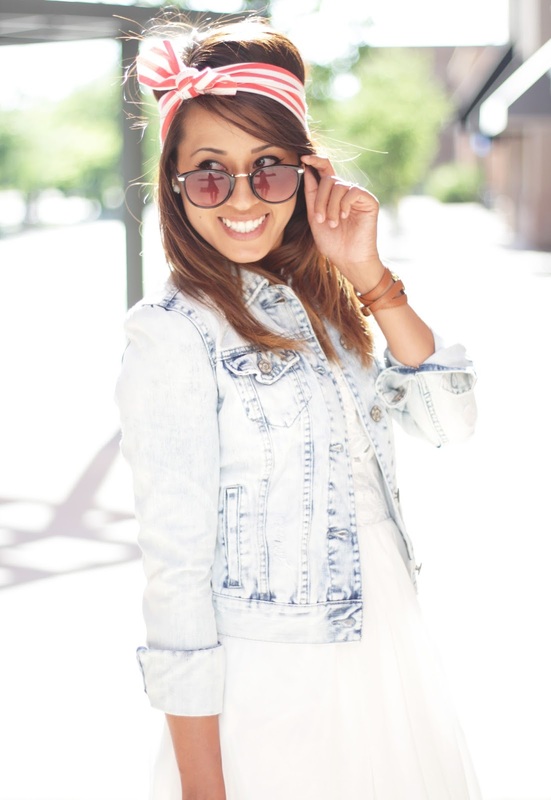 I'm bringing you an "All-American Girl" outfit today in honor of the arrival of summer! 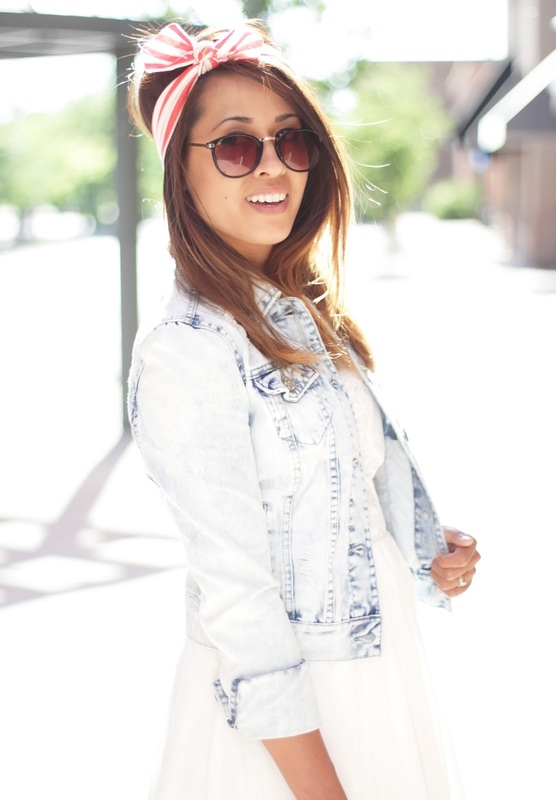 I should have probably saved this outfit for the Fourth of July but I got impatient and decided to post it early. (: I absolutely love this red and white striped Oh Sweet Joy headband from Gypsy Threads--it's very retro, 50s style! Also, I've been obsessed with these Castro Sunglasses from LuLu*s--I've literally been wearing them every day since I got them because they're so cute! I don't often find many sunglasses that fit my face perfectly and these fit them to a T! Sometimes when you've had a long day or week, you just need to unwind and indulge yourself in some comfort food. For me, my go-to comfort food is sushi, sushi, sushi. I love any and all sushi--raw fish, deep fried, pickled plum, you name it. The other night we had a girls night and made ourselves some homemade California rolls. I don't wanna brag or anything, but they were sooo DELISH. There is something about eating something you made yourself that makes it taste that much better. Maybe I should take on the art of sushi making as a career. Ariel dreams of sushi, perhaps? And, now all I can think about is sushi. I just ordered my Oh Sweet Joy headband too! I love me some sushi. My friend and I always joke about getting some...like every day. Love the outfit too! Very pretty dress! You look gorgeous & so summery! Love the headband, very retro ! 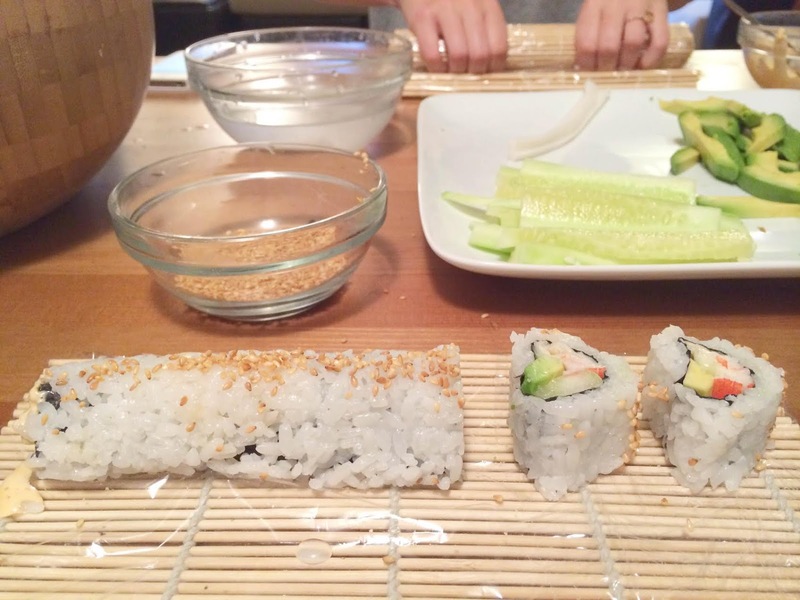 we made sushi last weekend and it was so fun! ps you are way too cute. im convinced you can pull off anything! 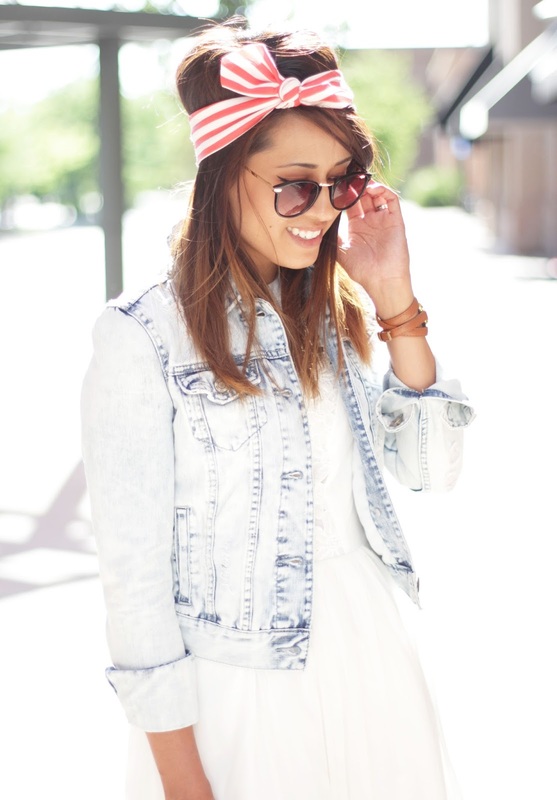 This outfit is adorable! 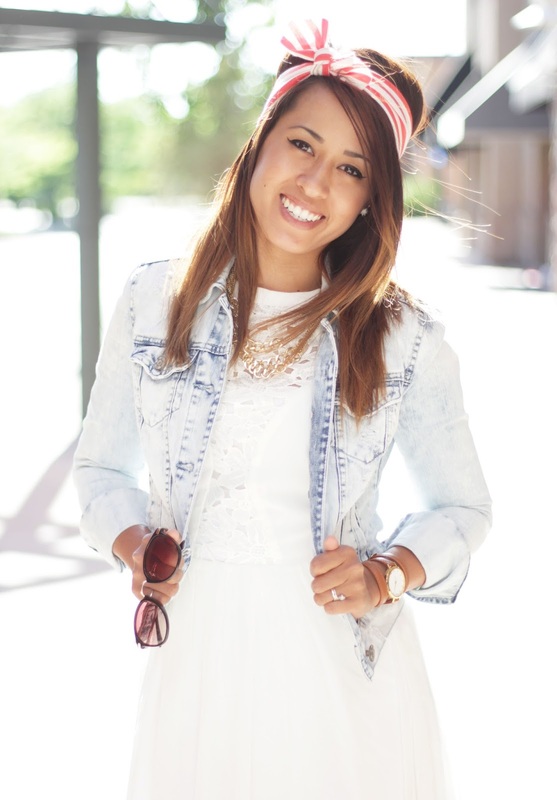 It is truly an American Girl look and the headband is the perfect finishing touch!